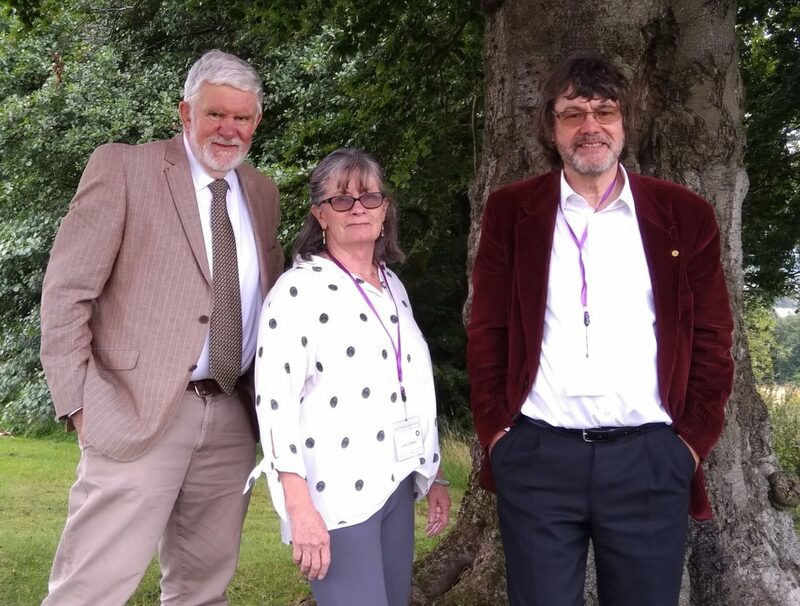 Antoine Vanner writes: My fellow naval-fiction authors Alaric Bond and Linda Collision, colleagues at the Old Salt Press, recently attended the 2018 Historic Novelists Society Conference in Scotland. We appeared together on a panel that discussed the challenges involved in writing in this genre and a lively discussion followed with members of the audience on matters such as verisimilitude, research, dynamics and more. As a follow-up I invited Alaric to appear as a guest on my blog, and what follows are his thoughts on the problems that can emerge when introducing historical figures into fiction. Alaric Bond is somewhat of a Renaissance Man, with a varied career that included writing for magazines, television, radio comedy and the stage. 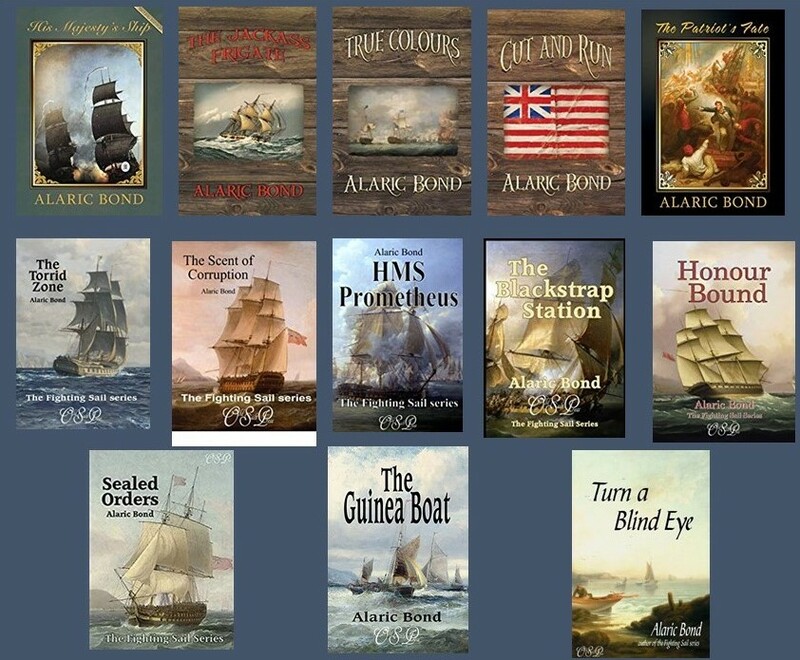 He now focuses on historical nautical fiction with thirteen published novels, eleven of which are in his acclaimed Fighting Sail series. As the topic he addresses here is of relevance to all writers of Historic Fiction I trust that you’ll enjoy his article. The dust has finally started to settle after the release of Sealed Orders. This is my thirteenth book and I usually work in a short break after each launch if only to tidy my office and reintroduce myself to the family before starting on the next. But this time I may take slightly longer as Sealed Orders was harder to write than most and for a reason that still surprises me. In each book I also try to introduce historical figures relevant to the plot; previously these have included Nelson, Jervis, Duncan and even (in The Blackstrap Station) Samuel Taylor Coleridge; well known personalities of the period who can only add to the story. However, the one that seemed obvious for Sealed Orders was relatively obscure and it was clear I would have to do a deal of research. When I had, he turned out to be a particularly challenging subject. Although featuring a fair amount of naval action, my previous book, Honour Bound, focused strongly on the parole town of Verdun and the extraordinary lives enjoyed by both prisoners-of-war and civilian détenus. Interesting stuff, but I was missing the sea and wanted to return to a totally nautical story. 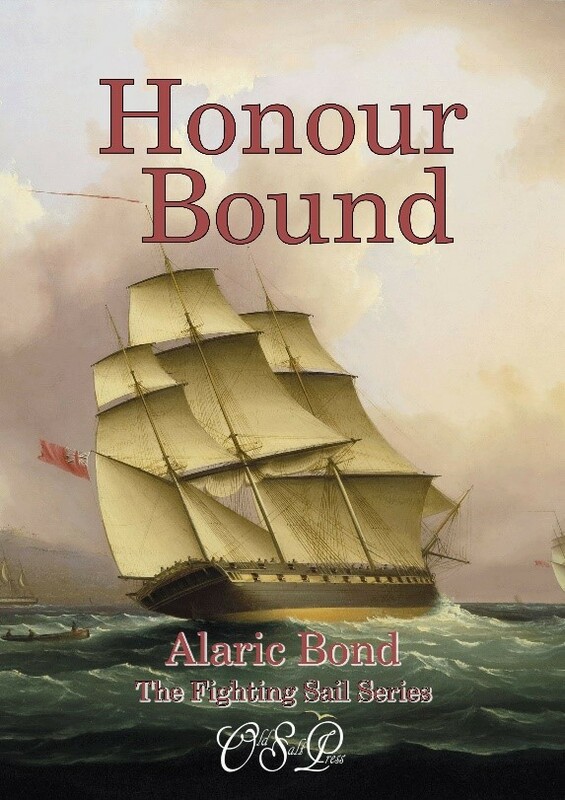 The ending of Honour Bound had left my survivors in a relatively neutral situation allowing me to choose fresh shipping and the next theatre of action. 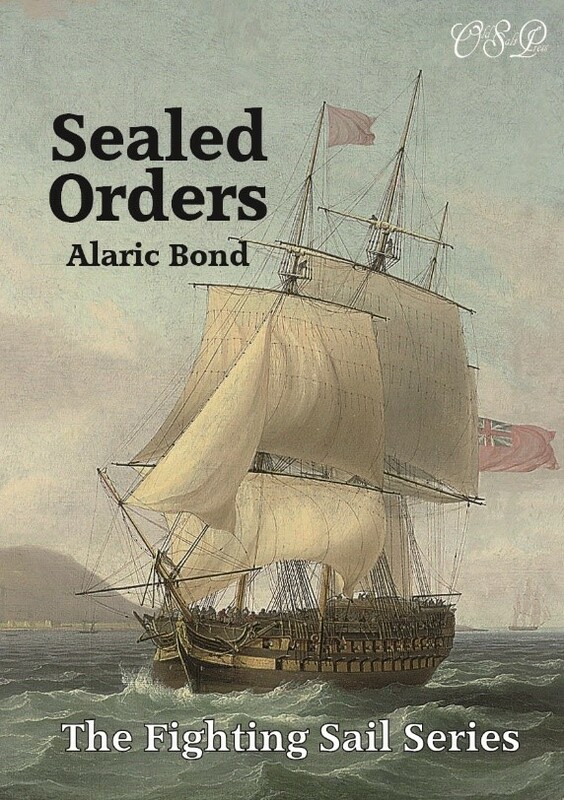 The Mediterranean had been visited several times and much had already taken place in the Channel and North Sea, yet Fighting Sail books had only ventured deep into the South Atlantic once and there was definitely unfinished business there. 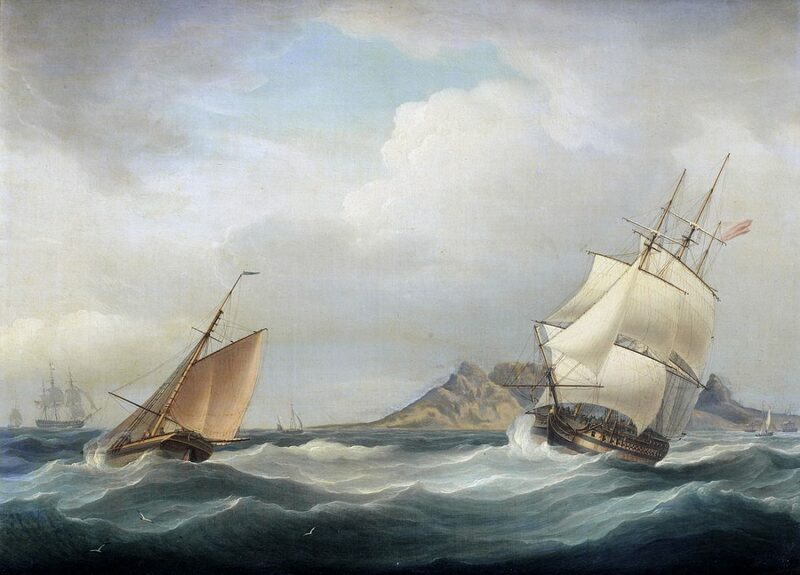 A check revealed the area was hardly quiet at the time I was writing about; an expedition under the command of Commodore Sir Home Popham (1762 – 1820) and Major-General Sir David Baird had set off in the August of 1805 to recapture the vital outpost of Cape Town and I decided to allow the next book to follow their progress. That much was fine, all I needed to do was to construct a suitable plot that encompassed the history of the time, then work in actual incidents along with those who were involved, and it would be written. But it was with this last point, and one particular period personality, that I ran into trouble. For as characters go, Commodore Sir Home Riggs Popham simply had to be real – no fiction writer worth his salt would invent such a surreal personality and expect it to be accepted by their readers. (Though spelled “Home“, his name was pronounced “Hume“). 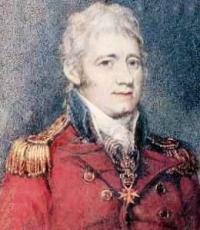 Although chiefly known for his signalling system – one that was used by Nelson at Trafalgar and not totally superseded in the Royal Navy until well into the twentieth century – Popham’s career reads like a series of improbable and occasionally unbelievable events that are worthy of a nautical Flashman. During a hectic forty-year period he organised and led operations on both land and sea, carried out extensive surveying in India and the Far East (being responsible for discovering a passage that ultimately established modern day Penang – see illustration above), involved himself in commercial activities that undoubtedly included smuggling, founded the Sea Fencibles and carried out delicate diplomatic roles in India, the Middle East and Russia. He also narrowly avoided bankruptcy on at least one occasion, fought a major legal action that went as far as the House of Commons, and was not backward in accepting honours as well as blatant financial inducements from foreign powers. But though he enjoyed some success, his failures could be truly spectacular yet despite the many instances of him being recalled, reprimanded, court-martialed and, on one occasion, entirely struck from the Navy list, Popham continued to attract important positions. However, it is not just in his actions that the man stands out; he was also the possessor of a unique personality. Obviously only so much can be drawn from contemporary accounts and one later biography, but it is clear Popham’s fertile mind was harnessed to an attitude and temperament that would probably attract a diagnosis today, while his ability to make enemies verged on the pathological. In Sealed Orders I had intended to feature him more prominently but the closer I researched, the more unconventional Sir Home appeared, and I was forced to take a step back for fear of highlighting a character many would consider implausible. So, even if his appearances in Sealed Orders are brief they are undoubtedly spectacular while his actions create ripples every bit as rich as his psyche and definitely make the book better for their inclusion. Although that was not the entire reason for retaining his presence. At a time when novel personalities and unorthodox strategies were relatively common, Popham stands out as a true individual. His methods might have been unconventional and the man himself must have been a nightmare to work for, alongside, or command, yet the more I learned, the closer I felt drawn to him. Maverick he may have been, but there was also an awful lot to both like and admire in the chap. And he was simply such fun to write about. I actually have no idea how I missed this when it went up. Marvellous blog post and I must agree — Popham was very much a Character, and one with nine lives at that. I’m delighted that you enjoyed it Jacqueline! I’ll keep ’em coming! Jacqueline Reiter, who also spoke at the HNS conference, is in the early stages of writing a biography of Popham. That should be a must have for all of us! Agree – I’ll be asking her for a guest blog in due course! Fascinating. A two-fer. Have to delve further into the Commodore and associates, plus dip into the fleet of ‘Fighting Sail’ books. BTW – any kin to the recent PM Douglas Home? Thank you both, Antoine and Alaric. Note sure about the Douglas Home relationship. I saw him speak in 1965 at a Conservative Garden Party at the house in Ayrshire of Fitzroy McClean – Churchill’s envoy to Tito and author of “Eastern Approaches”.